For those that are not familiar with “Bang for Your Buck,” the general format of each show is pitting three remodeled houses against each other to compete for a prize. At the end of the episode, the houses are appraised and the winner is the home with the highest return on investment. The July 3 episode will feature a home owned by Walt and Summer Freeman, who own Southern Belle Vacation Rentals. The couple recently remodeled the home with the intention of later offering it through their vacation rental program. The property, called “Charlton Street Retreat,” is 1 bedroom, 1.5 bath home built in 1860. Located on one of the most desirable streets in Savannah’s beautiful and historic downtown, this charming home has been updated to include the latest amenities while still showcasing many of the original elements of the house, like the heart pine flooring, exposed beams and original fireplaces. The Freemans were approached by the production company, High Noon Entertainment, about two years ago. The company was soliciting real estate firms in Savannah to appear on upcoming shows. 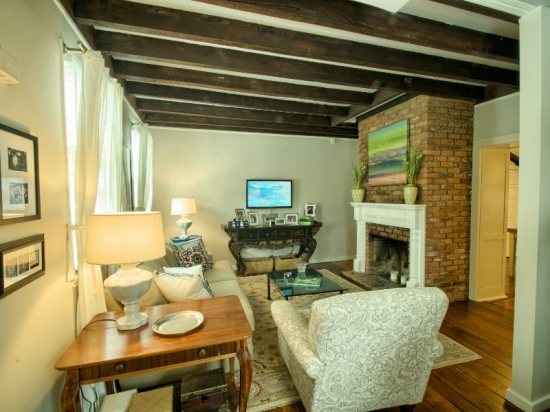 Although recently remodeled, Charlton Street Retreat still features many of the beautiful and historic original features of the house, including the open beams, the heart pine flooring and the original fireplaces. The couple survived multiple rounds within the selection process before they were finally chosen to be on the show. First, they had to submit photos of the house for initial consideration. Then, when they made the second round, they had to create and submit a video. Finally, they were selected to appear on the show, beating out hundreds of other hopefuls in the Savannah area. Where did they end up in the final results? Well, you’ll have to watch the episode to find out. Although it involved a long process and a lot of hard work, Walt Freeman said it was a great experience and he’d do it again in a heartbeat. He said that other companies looking to get on the show should get in touch with the real estate offices in their area. Freeman and his wife are also both realtors, and that’s how they found out about the show. Additionally, the production company also has a casting section on its website, where they allow you to apply to appear on various shows from time to time. Another piece of advice that Freeman offered is to make sure you submit professional photography to the show. 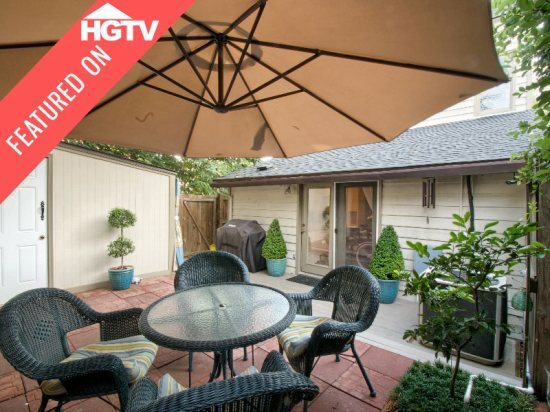 The pictures you see on the home’s property listing are the same ones that Freeman submitted to the show for consideration. You can see how they are all well-lit, well-framed and shot with a high-quality, high-resolution camera. Southern Belle Vacation Rental’s appearance on HGTV is the latest of many great appearances by LiveRez partners on the station recently. All Star Vacation Homes, Casas de Santa Fe and San Diego Beach King have all been featured on the network. For more information about the episode, visit the episode description at HGTV.com. And, check your local listings for the July 3 broadcast time in your area.